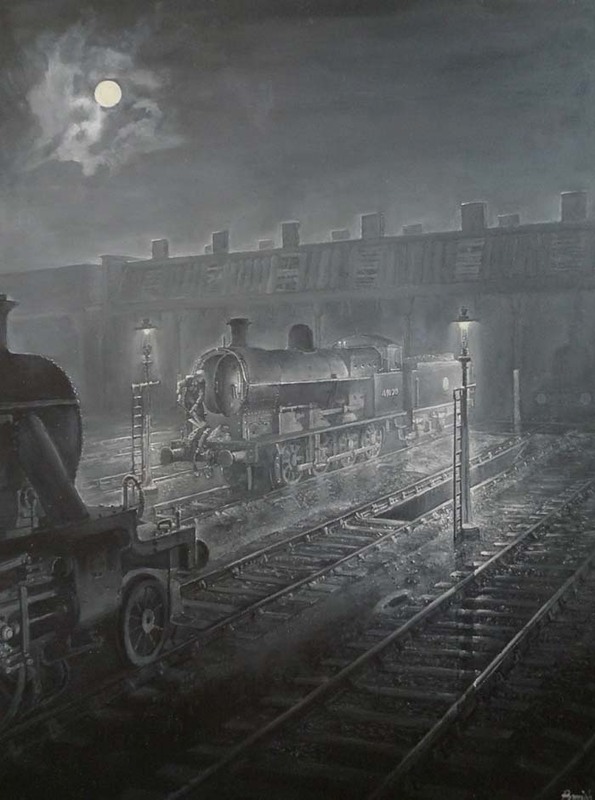 A locomotive being serviced under gas lamps around the time of Nationalisation in 1948 at Warwick Milverton Engine shed. Now demolished to make way for a new housing estate Its history goes back to 1844 when it was built as a two road engine shed along with a small turntable. In 1855 it was extended to house a 6 road engine shed. In 1930 a 60 ft diameter turntable was built in place of the smaller one under auspices of the LMS. However the building of coal and ash plants was suspended owing to the outbreak of World War 2. The shed was under the jurisdiction of Rugby from 1935. After World War 2 was over railways declined and road transport became more popular. In 1948 the shed was recoded to 2C under the control of the British Railways Board. The shed was commonly used for servicing of visiting locomotives from sometimes long distance. the shed was closed in 1958 for economic reasons and duties transferred to Leamington Engine Shed. The sheds were used to stock Diesel Multiple Units after the sheds official closure. Original painting and prints are for sale from Kevin, the artist on 01926 332708 or 'parrish@quicknetuk.com'.